The enduring legacies of Thurgood Marshall, Charles Hamilton Houston, Patricia Roberts Harris and countless other graduates of the Howard University School of Law (HUSL) are on full display this year as the historic school celebrates its Sesquicentennial anniversary. In preparing for “The Next 150” – this year’s anniversary theme – students, faculty, alumni and more will spend the year reflecting on Howard Law School’s role as a pillar in the fight for social justice. Scheduled commemorative events include a recent Sesquicentennial Convocation and an upcoming symposium, gala and fall launch of a comprehensive book on the history of the law school. “The anniversary is special because it gives us a chance to celebrate all of those things, but most importantly, for me, it gives us a chance to look to the future,” she said. 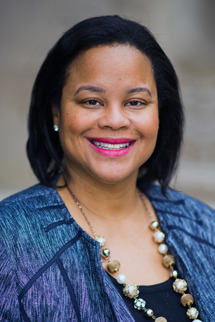 HUSL students and faculty will reflect on the most pressing justice issues of the moment and what role the institution and its graduates have in ensuring that the U.S. and international community is the “most just that it can be,” particularly for marginalized communities, Holley-Walker said. Founded during the reconstruction era following the Civil War on January 6, 1869, Howard Law School sought to help newly freed Black citizens secure their most basic freedoms, Holley-Walker added. It was also one of the first schools to admit individuals regardless of their race and gender. “Our values are very much the same as they were when this law school was founded in 1869,” said Holley-Walker. She noted that, even with significant progress, Black people and other marginalized groups still face “significant challenges” to their civil liberties, whether it is in criminal justice reform, staving off voter suppression or dealing with income inequality. Karla V. Mardueño, a third year J.D. candidate at Howard Law School and editor-in-chief of the Howard Law Journal, said it is an honor to be able to contribute to Howard’s long legacy of excellence. Mardueño notes that choosing HUSL has been “one of the greatest decisions I have ever made.” She has been able to work with professors who are “brilliant legal scholars,” and her experience has taught her to be an empathetic lawyer and to be creative in her legal analysis, she said. Mardueño will make her mark on the world as a soon-to-be litigation associate at Kirkland & Ellis LLP, having held prior internships and work opportunities with a federal judge and at major law firms in Chicago and New York. This year’s anniversary celebration will additionally bring to the forefront conversations about the impact of HUSL’s faculty on the legal profession and on academia. A new book titled Howard Law in the Modern Era will feature essays from Holley-Walker, HUSL faculty, alumni and others not affiliated with the institution in order to shed light on what it takes to keep a law school – whose mission is social-justice oriented – going for 150 years. “That should be a really significant contribution to the literature about historically Black law schools, and specifically about Howard University’s law school’s role in many of the major civil rights cases like Brown v. Board of Education, and many of the other cases that we were involved in,” Holley-Walker said. 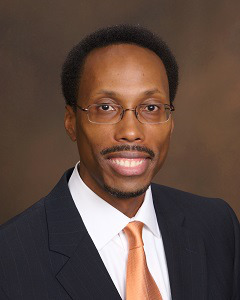 Dr. David Harris, managing director of the Charles Hamilton Houston Institute for Race and Justice and a lecturer at Harvard Law School, said that Howard Law School is a critical piece of legal framework in the country. Dr. Lamont A. Flowers, executive director of the Charles H. Houston Center for the Study of the Black Experience in Education and Distinguished Professor of Educational Leadership at Clemson University, said given the “ remarkable influence” of Howard University’s School of Law in addressing and transforming an array of social, economic, and educational issues in the United States, he anticipates that it will continue to promote positive change throughout the nation and abroad in the next 150 years. “One hundred and fifty years of enhancing and improving legal education represents an inspirational accomplishment, which highlights the determination, dedication and diligence of Howard University’s School of Law with respect to advancing legal studies and increasing diversity among the legal profession,” Flowers said of the school’s sesquicentennial celebration. Looking forward, several growth opportunities for the school will involve expanding its international student base and broadening what it means to practice law to fulfill students’ passions. She added: “[Students] know from seeing how much our graduates have achieved that the expectations for them are very high,” she said.